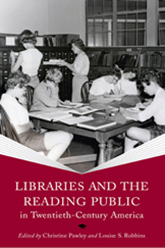 This book series is published on behalf of the Center for the History of Print Culture in Modern America, a joint program of the University of Wisconsin–Madison and the Wisconsin Historical Society. Currently limited to volumes originating in the Center’s biennial conference, the series fosters research and writing on the mediating roles that print has played in American culture since 1876. Its scope encompasses studies of newspapers, books, periodicals, advertising, and ephemera. Special attention is given to groups whose gender, race, class, creed, occupation, ethnicity, and sexual orientation (among other factors) have historically placed them on the periphery of power but who have used print sources as one of the few means of expression available to them. 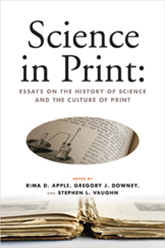 For related titles please see the new series The History of Print and Digital Culture. Click the icon(s) below the book image to add the title to your shopping cart. The icon indicates a cloth and/or paper edition; the icon indicates an e-book edition.